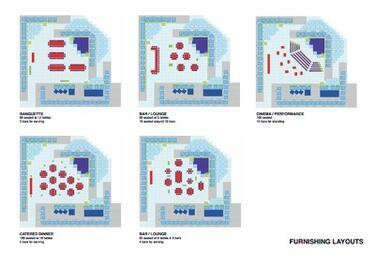 A plan depicting the possible furnishing layouts of Gap Filler Project 22, the Pallet Pavilion. 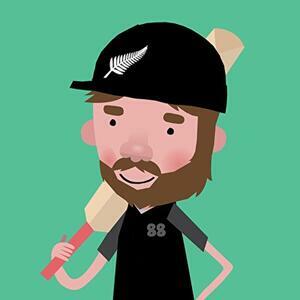 An image of a Black Caps cricket player, which was used as a profile picture on the All Right? Facebook page during the Cricket World Cup in 2015. All Right? posted the image on their Facebook page on 27 March 2015 at 3:29pm. 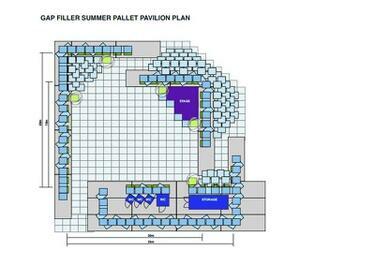 A plan depicting the layout of Gap Filler Project 22, the Pallet Pavilion. An image promoting the Do A Little Dance workplace challenge, an initiative to encourage physical activity and promote the Body Festival. The image depicts three 'All Righties' dancing and reads, "Do A Little Dance!" 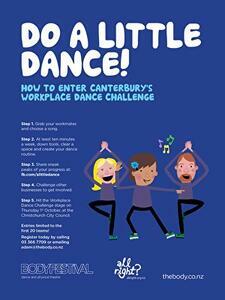 followed by a five-step instruction of how to enter Canterbury's 2015 Workplace Dance Challenge. All Right? posted the image on their Facebook page on 8 July 2015 at 3:05pm. An image featuring a quote by Donovan Ryan, Communications Advisor for All Right?. The image reads, "Five years on I feel... There's a long way to go! Donovan, St Albans." All Right uploaded the image as a cover photo on their Facebook page on 17 February 2016 at 2:37pm. To view the image, see All Right? Five Years On I Feel: Creative Material 2 (JPEG). An image featuring a quote by Anna Wilson, Physical Health Advisor for Sport Canterbury. The image reads, "Five years on I feel... Upset about what we've lost and gone through but excited for what may come// Anna Wilson, Sport Canterbury." All Right uploaded the image as a Facebook cover photo on 23 February 2016 at 9:37am. An image featuring a quote from Suzanne Lemon, Manager of Westpac Upper Riccarton. The image reads, "Five years on I feel... Braver and Kinder." All Right? uploaded the image as a Facebook cover photo on 21 February 2016 at 12:38pm.